Freelancers pick and choose what gigs they take, what companies they work for, and how many hours a day they work. But when it comes to finding insurance that suits their working life, affordable options are hard to come by. Without a reasonable insurance plan, freelancers face the possibility of legal issues and financial losses. Though working independently certainly comes with risks, a new fintech startup coming out of Cornell Tech, Switch, hopes to alleviate some of the stress of self insurance. Switch is a platform that uses unique data about independent contractors that allows them to be covered for the duration of a job. Depending on the type of work required and the duration engaged, freelancers will be advised on the best type of coverage for them. 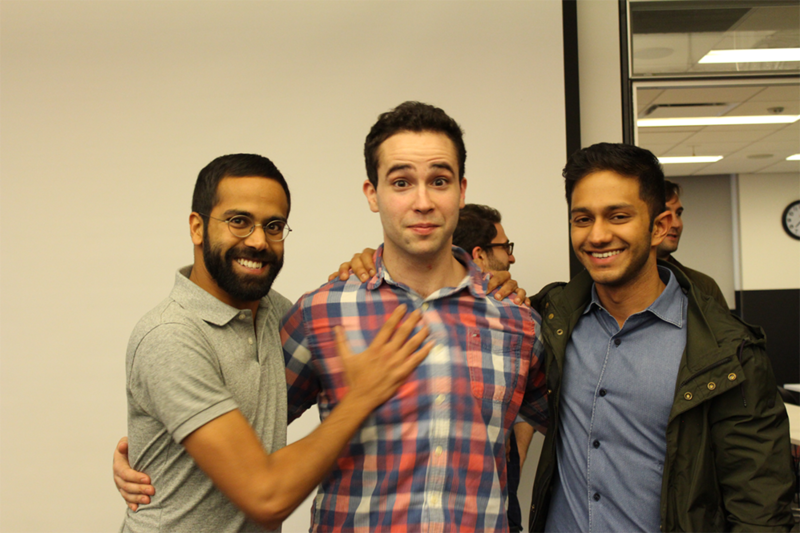 It’s a promising idea that landed the Switch team, Rishav Kanoria Technion-Cornell Dual Master’s Degrees in Connective Media ’17, Aamer Saifuddin Hassanally Johnson Cornell Tech MBA ’17, and Mario Rial Amado Master of Engineering in Computer Science ’17, an award of $80,000 in pre-seed funding and $20,000 in co-working space from Cornell Tech. It’s also true that independent workers have a lot of disadvantages in the US. “They don’t have access to employee benefits and the government doesn’t have a strict regulatory framework to support independent contractors,” said Hassanally. Hassanally, whose background involved working as a director for a water infrastructure conglomerate in India before coming to Cornell Tech, is interested in using technology for social development. Large corporations often have bargaining leverage with insurance companies simply because they can insure a large number of employees. Freelancers have no such bulk buying power because they are a company of one, and for now, while health insurance is too complicated a business to tackle in its entirety, liability insurance, however, is an easier benefit to tackle. Switch, from left to right, Hassanally, Amado, Kanoria. When they move into the co-working space in The Bridge at Cornell Tech, the Switch team will be busy exploring freelance marketplaces such as TaskRabbit and Handy to better understand freelancer profiles and mitigate on-the-job risks. The team said that David Tisch, head of Cornell Tech’s Startup Studio, and the Studio team have been amazing help to them. “They put us in touch with business professionals who can guide us through the intricacies of setting up a business,” said Hassanally. Additionally, the Switch team has been working with students from the Master of Laws in Law, Technology and Entrepreneurship program at Cornell Tech to get a better understanding of potential legal issues around the insurance space. The specific pricing, Kanoria said, is meant to be in line with the freelancer’s cash flows, and take into account when the freelancer isn’t earning money. At this point, the freelancer could potentially save hard-earned cash for other needs. “Our broader goal for Switch is improving financial health for middle-income Americans,” said Hassanally.